The two-week plunge in stock prices is signaling economic anxiety, but it's also compounding the problem: Lower stock prices are shrinking Americans' wealth, rattling their confidence and making them less inclined to spend. And employers may become even slower to hire. 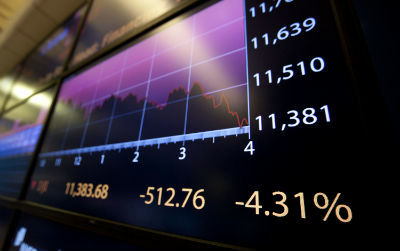 WASHINGTON (AP) — The two-week plunge in stock prices is signaling economic anxiety, but it’s also compounding the problem: Lower stock prices are shrinking Americans’ wealth, rattling their confidence and making them less inclined to spend.